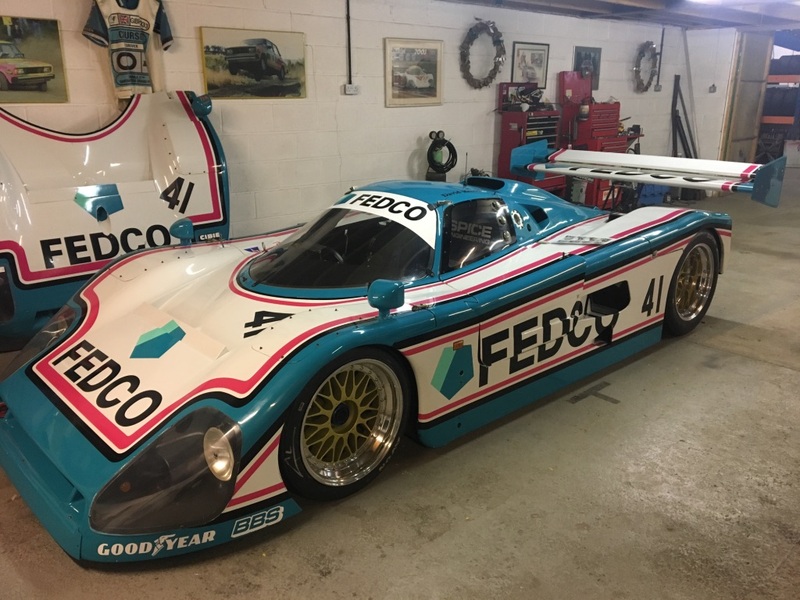 Spice C1 1990 Group C car delivered new to Fedco Racing in Japan. It was entered for the 1991 Le Man 24 Hour race winning its class and participated in the 91 and 92 Gp C season in Japan before it was parked up for many years before being acquired by us on behalf of the current owner in 2000. Car is fitted with new Motec dash and sensors Cosowrth DFR engine 5 speed gearbox. This Spice was fully stripped down with body off rebuild in 2016 rebuilt with new fuel cell, crack test certificates and JP Race gearbox rebuild with new CWP fitted so the car was ready to race but ill health has precluded the car running hence now for sale. This car has probably won more races than any other Historic Gp C car beating Jaguars Porsches along the wayso if you want to race in Group C this is the car to own. Serious enquiries invited for this race car with extensive selection of spare parts 2 DFR engines 1 gearbox 3 sets wheels spare bodywork uprights wishbones brackets too much to list all available in packages to be discussed.